Another great MACNA is in the history books, and now it’s time to get back to business as usual. We still have tons of show related topics to cover, which we’ll try to do this week, but to get us back to the norm, we will kick off our week with our typical recap of the previous week’s top articles. All of our top articles, which we’re pulling from the week of August 25th through the 31st, are from MACNA 2013. That’s a shocker, I know. 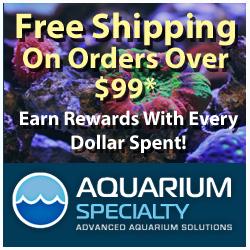 The list includes captive bred cuttlefish, MACNA 2014 rumors, a list of items any traveling aquarium nerd should have, a bigger Maxspect Razor model, and some sweet looking sumps from Vertex Aquaristik. We hope you enjoyed the articles, and as always, we’ll have another week full of aquarium hobby coverage ahead of us, so stay tuned.